MANILA, Philippines - Nine-member group Girls' Generation topped two Billboard charts and won their first music chart award for "I Got A Boy." According to Billboard's latest charts released on Jan. 10, "I Got A Boy" debuted at No. 1 on the World Albums, No. 2 on the Heatseekers Albums and No. 23 on Independent Albums. On Billboard's K-pop Hot 100 chart, Girls' Generation dethroned Lee Seung Gi from the top position as "I Got A Boy" zoomed to No. 1 after debuting at No. 36 last week. Following "I Got A Boy" on the chart are Baek Ji Young whose "I Hate It" debuted at No. 2, Lee Seung Gi's "Return," Girls' Generation's "Dancing Queen," Jung Hyung Don's "Gangbuk Fancy Pants," Yoseob's "Caffeine," Sunny Hill's "Goodbye to Romance," Akdong Musician's "You Are Attractive," Yoo Jae Suk's "Grasshopper World" and Dazzling Red's "This Person." "I Got A Boy" also jumped to No. 2 on Billboard's YouTube chart trailing Psy's "Gangnam Style" and entered at No. 98 on the Japan Hot 100. The music video for "I Got A Boy" has accumulated 25.17 million views since it was uploaded last Dec. 31. It is the most viewed video for the week, according to YouTube's own chart. In a review, Billboard described Girls' Generation's new album as "a confident return home with polished K-pop confections that combine elements of forward-thinking EDM, classic and modern R&B, 80s new wave, and more." It said the title track "I Got A Boy" is made of different sounds for widespread consumption. "'I Got A Boy' is not one sound polished and packaged for popular consumption (like past singles), but five completely different sounds stuffed for widespread music consumption. The track is created from: minimal drum and bass, funky and clunky electronic production, hyper hipster dubstep, dramatic vocal showcase sections, and what sounds like a xylophone. With this title track, Girls' Generation just set the bar truly high for pop in 2013," Billboard said. The Los Angeles Times music blog "Pop & Hiss" said, "'I Got a Boy' travels in so many directions that it feels like a scattering of musical miniatures cleverly puzzled together by M.C. Escher. As seen in the equally tripped out video, the nine women who are Girls' Generation have delivered something as wonderfully weird as their outfits — skimpy, multi-colored and mismatched — and as strange and structurally progressive as anything in the current commercial pop realm." On music show "M! 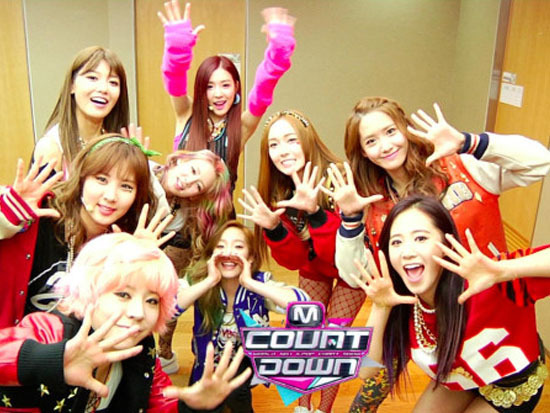 Countdown" on Jan. 10, Girls' Generation won their first chart award trophy for "I Got A Boy." The girls accumulated 10,000 points to beat Baek Ji Young for the award. Filipino fans will get to see Girls' Generation in person when they perform at the Dream K-pop Fantasy Concert that will be held on Jan. 19 at the Mall of Asia concert grounds. Girls' Generation will headline the concert along with Infinite, U-Kiss, EXO, Tasty and Tahiti.